1. Make Each Question Easy To Read And Understan. 2. Keep Your Questions Short And To The Poi. 3. Make Your Quiz Original As Possibl. 4. Make Your Quiz Interesti. 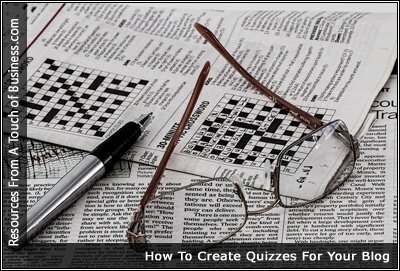 If you are looking for a unique way to grow your email list or to engage your followers, you may want to create a quiz. These are knowledge-based quizzes that your teachers may have asked you in school. In the world of digital marketing, it is a proven technique that boosts engagement and creates more opportunities for sale. Imagine if visitors could convert into leads by having a different experience then filling out the basic form. By adding in engaging elements like quizzes, calculators, and interactive infographics (to name a few ideas), you can enhance your long-form content and make it even more impactful for your audience. If you’re a blogger or business owner, you probably already know that it’s VERY important to not only HAVE an email list, but find different ways to BUILD your email list. Aside from being easy-to-use, WordPress allows you to add a variety of features to your website or blog, and one of these is quizzes. But, how do you create a quiz for your blog?